This quasar (acronym for “QUASi-stellAR radio sources”) is probable the most exotic object that I ever observed, but it was also one of the most easy to draw (i.e. a simple dot). 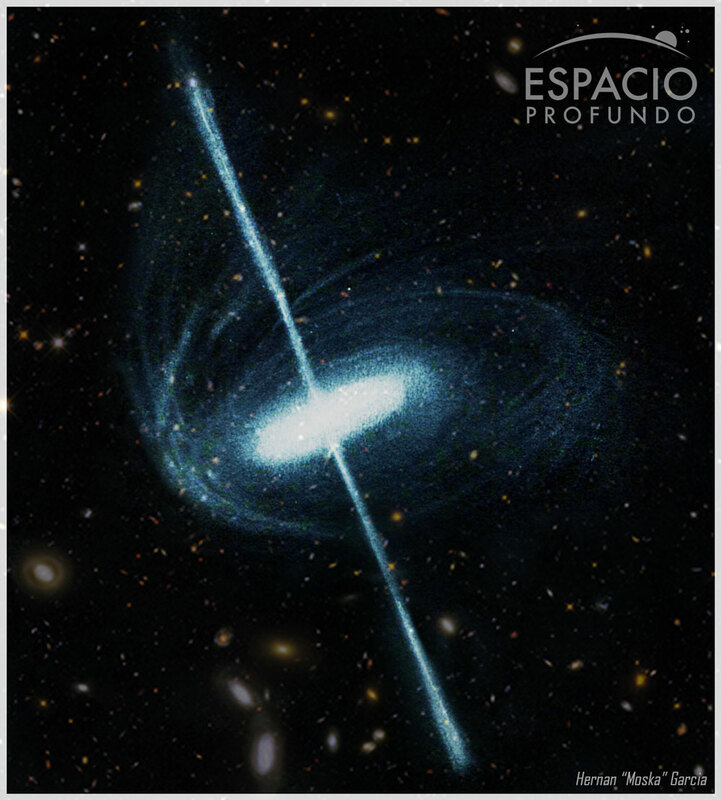 3C 273 was the first object to be identified as a quasar. It is also the brightest and at least one of nearest of all quasars. Its average apparent magnitude of 12.8 corresponds to an enormous absolute brightness of -26.7 magnitudes visually (about 2 trillion times that of our sun!). At a distance of 2.5 Giga light years (redshift of 0.158) this quasar is for most amateurs the most remote object they can view. Finding 3C 273 is easy with a detailed chart. 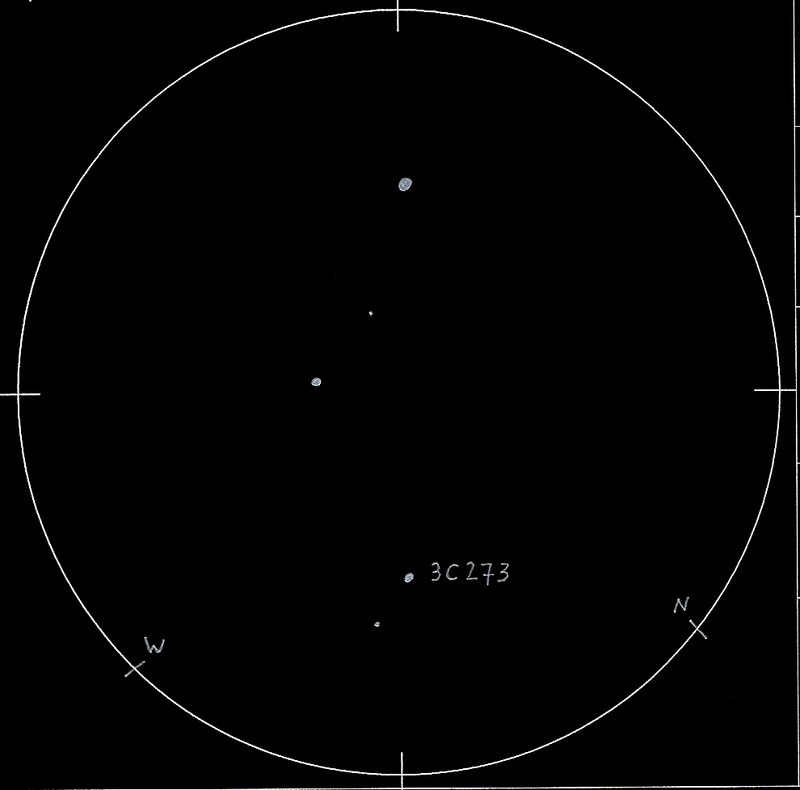 The quasar forms a triangle with two stars of 13.4 and 14.2 magnitues. The latter wasn’t visible in the 12″ dobson.